Our Fabulous Friday topic this week is based on a fresh announcement of the new Brazilian government that the costly visa requirement U.S. citizens visiting Brazil would soon be dropped. Brazil is currently requiring U.S. passport holders (among others) to apply for a visa which is available in a 10 year version (US$160) or a 2 year eVisa (US$44). The visa fees countries levy for citizens of other nations are reciprocal which means that their own (Brazilian) nationals have to pay about the same fee for visas to the United States in this case. Generally speaking this makes sense and is only fair. Countries often step away from the reciprocity concept if there is a higher interest of letting visitors into the country free of charge, for example siphoning off tourism dollars which contributes largely to the local economy. EuroNews / Reuters just reported about the statement of the new Bolsonaro government which is much closer to the current U.S. government compared to all their predecessors. Currently, U.S. citizens pay $44 for a two-year visa, or $160 for a 10-year one. It’s quite surprising how many countries are still levied visa fees against by Brazil at this moment. I’ve visited the country about a dozen or so times using my German passport which is exempt from the visa requirement or fees. I’m surprised that Japan is affected as there is a large Japanese-Brazilian community in Brazil and likewise in Japan where you often find people with Japanese family names but who are actually Brazilian. While there is no definitive date set when this will come into effect it can be expected that it’s going to happen soon within the next couple of months. 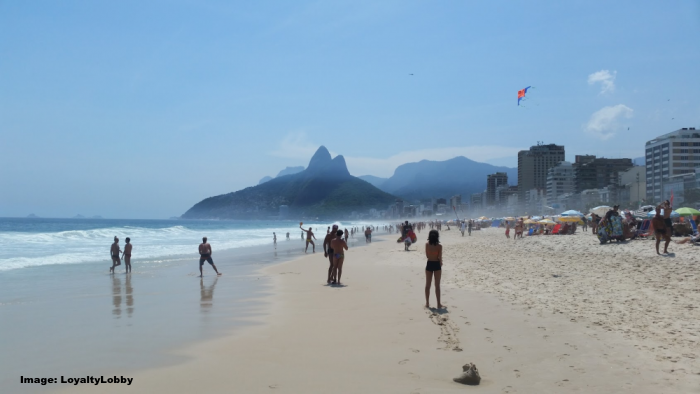 If you’re planning a trip to Brazil it’s probably better to just avail yourself to the two year eVisa option that costs US$44 instead of the costly 10 year version. Being able to visit countries visa free and without having to purchase a visa on arrival is great and takes away the hassle which often makes me think twice if I really want to visit a country if I need to get a visa in advance. Next articleStarwood SPG App Will Be Deactivated On 13 February 2019, Requiring To Download Marriott Application!